Finding the perfect hotel in the perfect place at a reasonable rate is sometimes overwhelming and time consuming, as we are bombarded by websites commercial and promotional messages and we have no idea which one is best, nor time to analyse everything and ponder which one is the right choice for us. Therefore I have thought about selecting a variety of booking websites that I have used in the past or that I have known from my past life when I was working in the travel industry and consider reliable enough. Most of the time they also offer the best deal. What I always suggest to do is to compare prices among the different sites and if you like you can also check directly with the hotel page or as to make sure you are booking the best deal on the market. If you don’t have time at all you can email me isabella@boundlessroads.com and I will be happy to investigate for you for a small fee. Enter the correct number of people in your party, because rooms type and rates would very accordingly. Make sure you read what are all the services included in your rates so that you won’t have false expectations. Remember the taxes are almost never included, so make sure you check all the smallest notes. Normally the taxes are mentioned right before check out. With Booking.com you can pay directly upon arrival while with Expedia you are asked to chose your preferred method of payment. It’s up to you. Check the cancellation policy, always! Just to make sure up to which date you can have a refund in case you need to cancel. If you are sure you won’t cancel or you have a good insurance, you should look for NON REFUNDABLE deals, where normally the hotel set the price very low but it is subject to cancellation penalties in case you cancel, from the very moment you book even if it is an year before your stay. GET A TRAVEL INSURANCE. You never know what can happen. I am using World Nomads because I was recommended it by trustworthy people who had great experience. It’s a little more expensive than others but it is always worth it. Luckily I haven’t used it so far. With Airlines you never know… Sure is they constantly change rates. Those three booking web sites are all aggregators which means that they compare rates from different airlines, which is great for your to see all prices in one page. I would also suggest to check them all and then have another look at the airline website as well, in different time of the day or night, so you will make sure you are really getting the best possible fare. If you see a rate that is reasonable to you book it without hesitation, because you never know when the offers ends. Once the seats are filled the fares automatically raise. Once I lost an amazing rate because I wanted to wait…. So the next time you log in from the same computer they know that you have been searching for that destination and price automatically raise! Yess it’s that bad! we live in a dirty world! But now that you know, what you have to do is either clear your browser history or open an incognito window and search from there. These above sites are equally good depending on where you are going to rent a car. I would suggest you to check them all out, try to make a quotation and see what is the most convenient for you. They might have a special deal in the country where you want to rent. 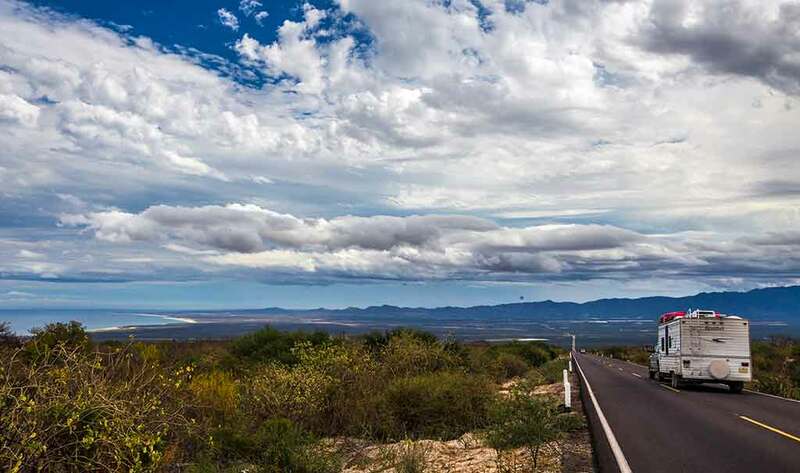 I have used Auto Europe for my trip around Baja California and I really felt great about it. 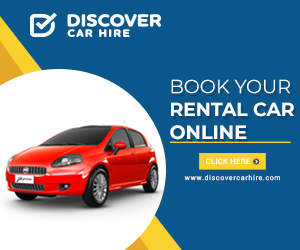 The thing that I love the most is that each site compares rates among different car rental companies. Beware though, that you need to check out the insurance too if you need it. Bear in mind that those sites are only aggregators and they are not responsible of each company policy. First, check how much it is and then what it includes. When you ask for full insurance (which I recommend), always ask what they mean for FULL, because most of the time the windows or tires are out and sometimes you have a deductible, in which case it doesn’t make it a FULL insurance. Therefore more than the initial price which is normally very low, you will need to dig a little deeper and ask what is included in that price. Also, the DROP OFF tax is important. If you pick the car up in one place and drop it off in another city, for the majority of the time your bill will inflate significantly. So, always clarify every detail! Please feel free to ask should you need any further tips. TRAIN BOOKING – For your trips in Europe you can check out single fares or different kinds of packages. Make sure you have the possibility to change dates or itinerary. I also use Wanderio with an app on your phone you don’t even have to print your train tickets. The only problem with wanderio is that they won’t refund your ticket if you need to cancel, in some situation. I would recommend that you should check that before booking. HOME SWAP – This must be a fun experience which I have never tried because I didn’t have an appealing house and I was always on the move, but if you do, you can register to the site with yout house pictures and full descriptions and browse the other available houses in the area of your interest. You never know, you can find the right match. I know, I am the first one who is reticent about spending money on insurance but I have thought it better and I realized that the unexpected is always around the corner, especially when you go out of your comfort zone. It is physiological. It doesn’t necessarily have to be a bad thing. However for example, think about a missed flight because of a simple flu, or just that you had a strange pain in your stomach and you wanted to have it checked just in case. And many other similar situations, let alone if you are an outdoor sports obsessed like me and you like to expose yourself to risky adventure or not risky but that can present a sort of exposure ..all those things imply a cost, medicine, doctors, or an unused flight ticket. Besides, nowadays companies cancellation policy rules are much more strict than before. 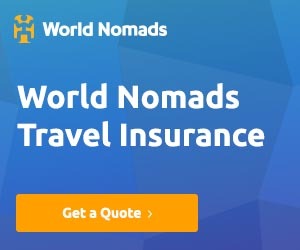 So I decided to investigate among different insurance packages and I asked different people, and my choice went for World Nomads. It is the most reliable and fast to take actions in case of a problem. I didn’t need it as yet but I have asked friends that used it when in need and they only had positive words for World Nomads. So this is my choice as well. DISCLAIMER : The above links are from affiliated sites, which means that if you make a reservation, the company will pay me a small commission at zero cost for you. In this way you are supporting this site at no charge and I can continue with my work around the world, researching, photographing, and writing, hoping to bring useful information and inspirational content. I really appreciate your continuous help and support and I thank you so very much. Please should you have any comment or suggestion do not hesitate to write on in the comments here below.